place it afterwards in a bowl and beat it well with the salt and pepper. It should be thick and smooth. Add the rest of the ingredients and mix very well. Refrigerate till you need it. Serve with crackers of your choice or crudites!!! 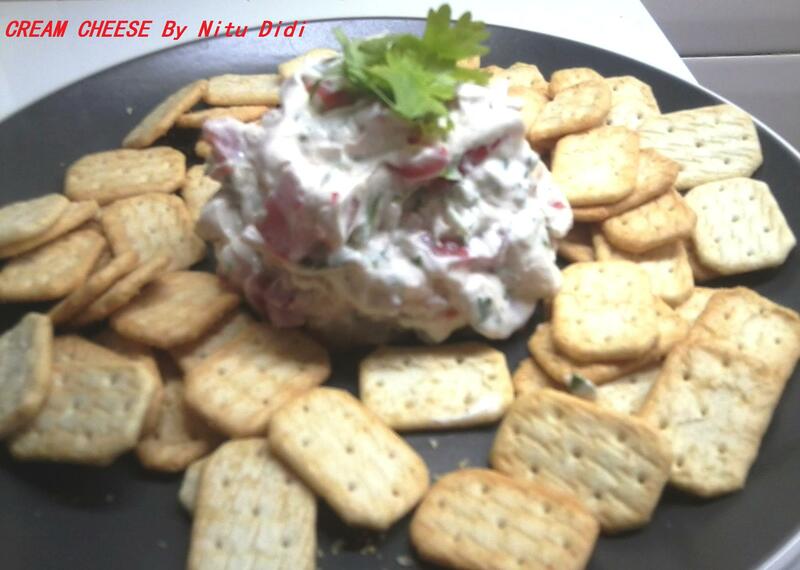 This entry was posted in Everything Vegetarian, Sauces and Chutneys, Veg Starters and tagged chives, coriander, creamcheese, mint, yogurt. Bookmark the permalink.